For Working Room with size 2.5 x 3 meters, leaf table made permanently as long as the wall and coating with white Formica on the top layer. Rotan chair with foam with upholstery cover. Ceramic floor with brown color, size 20 x 20 cm. 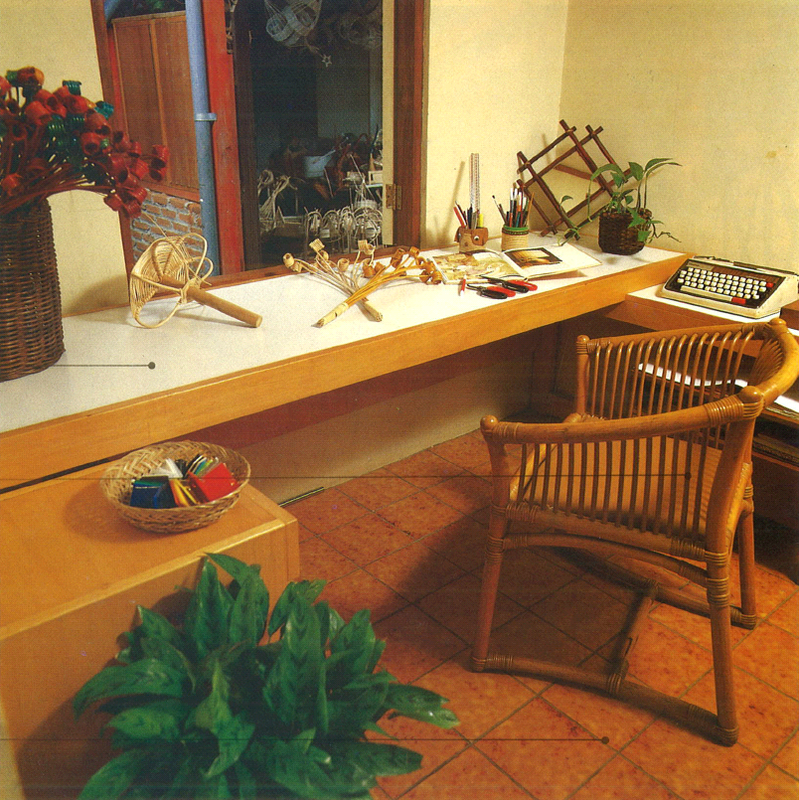 This room as mother hobby, her activity is made handicraft with Rotan materials. So the room situation should always raises morale. 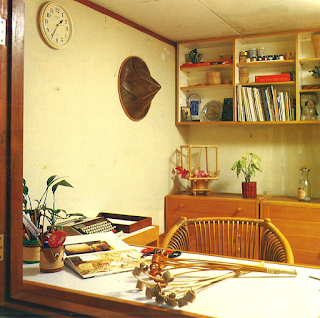 Actually this room have small size, in order always tidy and clean, after the work piece finished, moved to special place near that working room. Workspace equipment consists of a low desk and cabinets are made with neutral colors that give a clean impression. Literature that often use is kept on the rack that placed above. 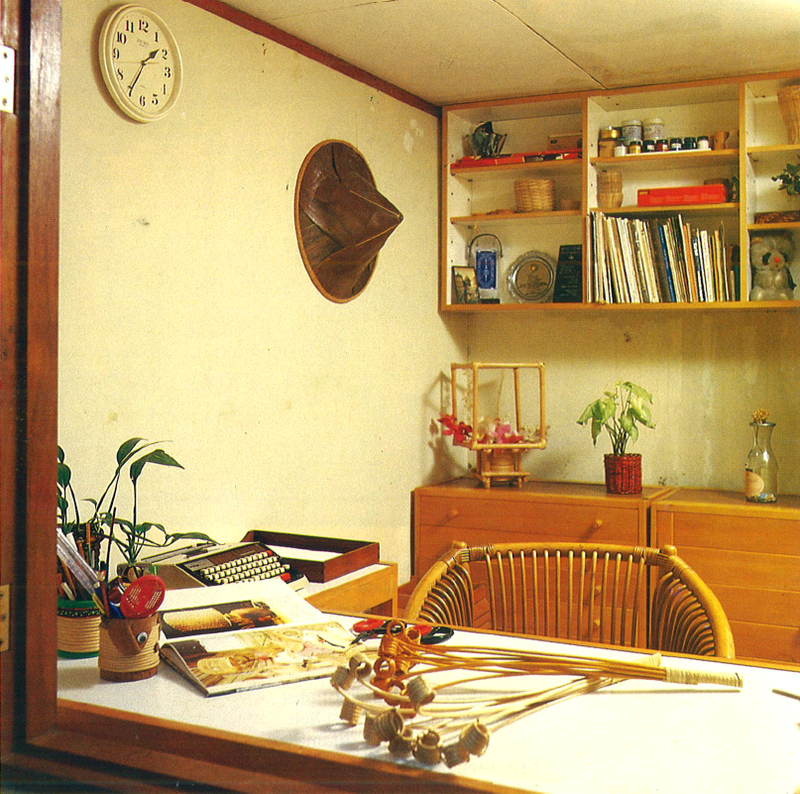 Compact working atmosphere with an easily accessible equipment, and a pleasant atmosphere of the room with some fresh plants therein, is expected to lead to new creations.